Why jump out of a perfectly good airplane? Because it may be going where you don’t want to go. You may have a rough descent, or you may soar higher than you ever expected. But even if you crash-land, at least you jumped. “Save Yourself” took weeks to conceptualize and paint. 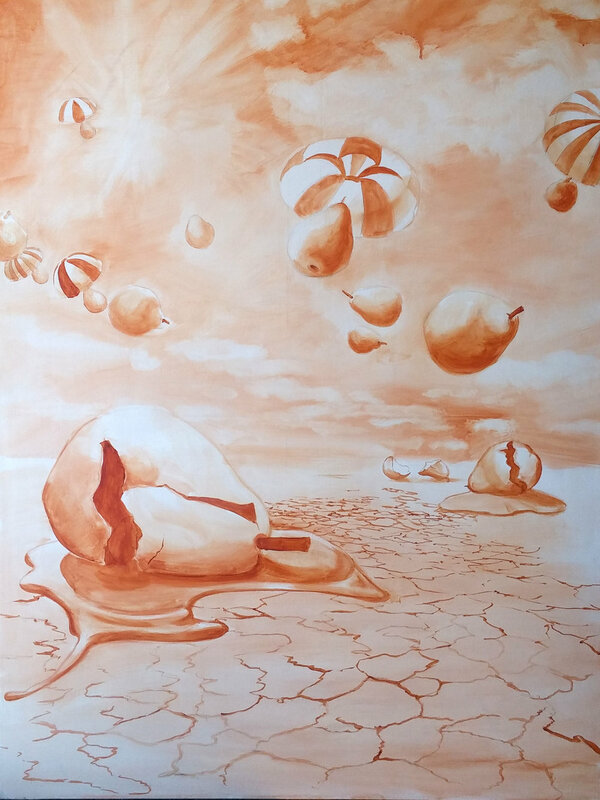 A surrealistic painting with a humourous twist that represents a leap of faith, a step off the edge and generally the courage to take the plunge. Not everyone will make it, some have parachutes, some make their own parachute and some simply fall and crack. 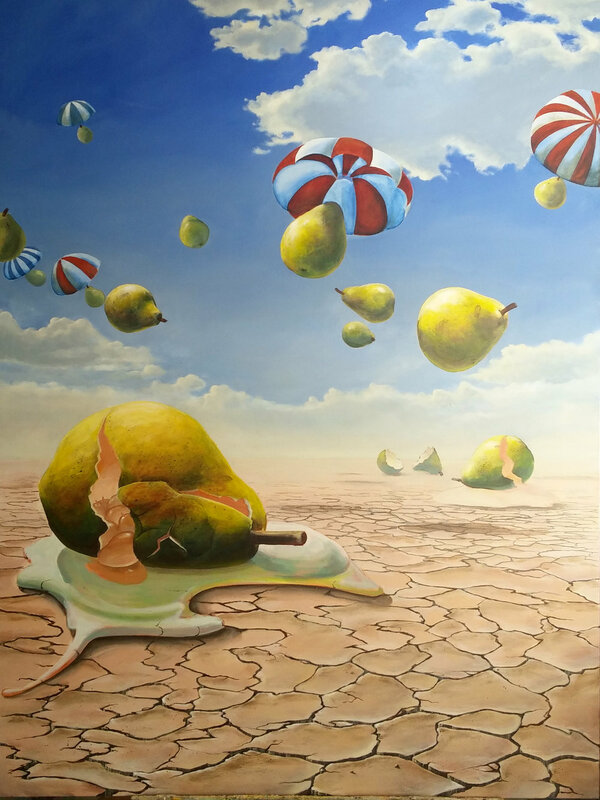 These surrealistic pears represent the human race. The diversity and the challenges that we face and the different approaches. This is dream art. A vision designed in a waking slumber, a realisation of who we are, that we are all different and, if we are honest, it is irrelevant if you don’t have a parachute. You fall out of the womb and how you chose to land at the end of it all is entirely up to you and you alone. I’d love a bigger parachute, but in most cases over the course of my life, I had to hit the pavement pretty hard first.